I’ve casually shopped around for a couple of years, never finding one that I couldn’t live without. Talking with the local BMW guys at lunch the other day got me looking around again. An ad on mye28 got my attention with the owner being close by. I drove it Sunday and picked it up last night. It sat dormant in a garage for almost 12 years. This guy got it, and actually reached out to Rob Siegel on how best to resurrect it. Pulled fuel tank and flushed it, new fuel pumps, lines, filters. New fluids everywhere. Flushed coolant a couple times. Tune up. New brakes, hoses, sensors, tires....lots of new stuff. It drives like it was new. Interior is practically unblemished. Perfect leather and dash. Replaced seat motors and such. Everything works as it should. It's an automatic, but already a local e9 friend has offered a Getrag 265 and pedals he's had sitting around... he may have an LSD, too. I'll just drive it as-is for the time being. Paint has some dings but even unpolished, it shines up very well. I have a lot to learn... heck, I couldn’t even get the heater to blow warm air last night without bugging Ray.... so sad. I think its a good one. Beautiful car! I drove a couple 88 535iS models back in the day. Still love them. I plan to drive it as-is for awhile. I have my hands full enough reassembling the 2000CS to worry about modding the e28. I’ll drive it and see what I like and don’t like, and go from there. It feels pretty softly sprung, and that’s ok for now. I grabbed it because it was unmolested and I’m okay leaving it that way for a while. The auto has a Sport mode, which will work for the time being. I see Euro bumpers, though... I’m not a fan of the big bumpers. Ed: great find. They're usually beaten to a pulp when I find them. 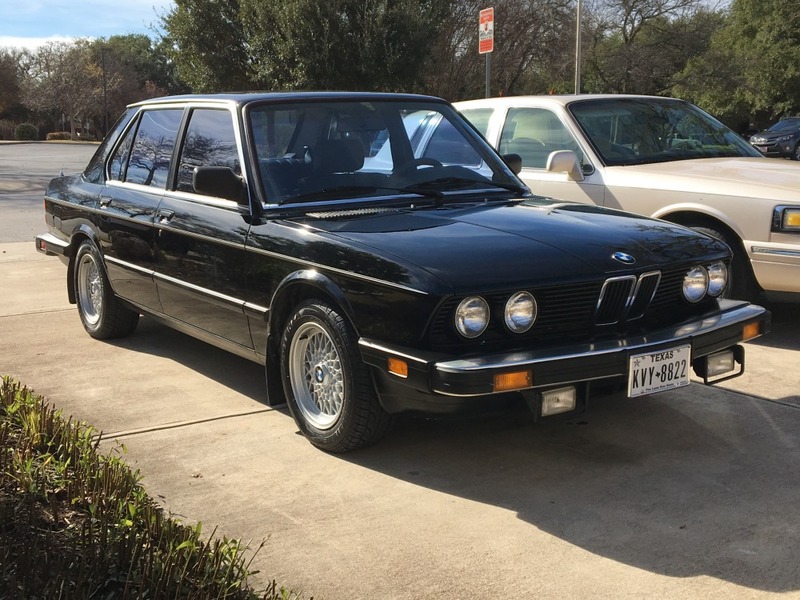 I drove an automatic beater-loaner 535is years ago and it was FUN. I am sure that this one is gonna be fun too. Enjoy it! A German born friend had one. His brother came for a visit and on used the car to tour to Yellowstone Park from Denver. He got a ticket in wide open Wyoming for going 110 mph and was puzzled as to why! 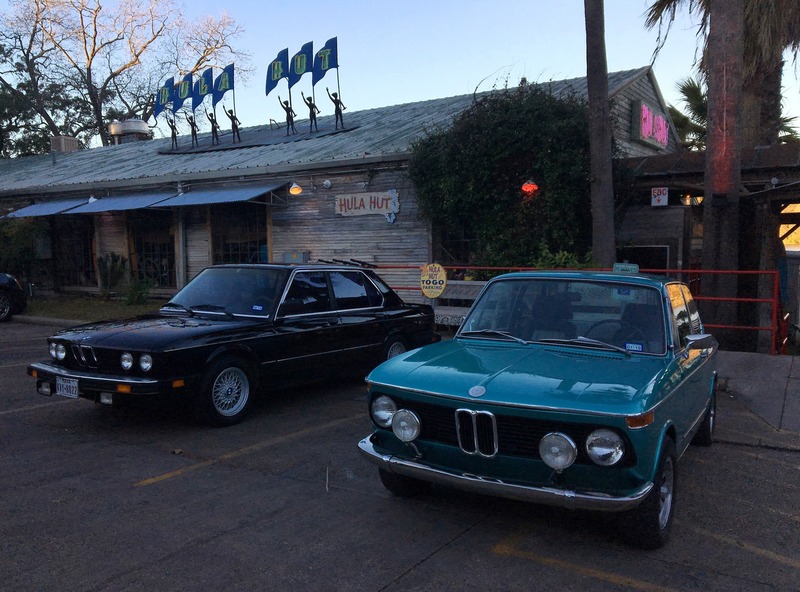 Welcome to the E28 club! When the time comes, if you choose to swap in a 5-speed, go with a 260, not a 265. The 260 is smoother, less notchy shift feel, easier to come by, fraction of the price of a 265, ancillaries like drive shaft, shifter linkage, trans mount are much easier to source, and is correct for your year car. The 265 is a one year only trans for the e28 chassis and parts for the swap are getting really expensive and hard to find. The pedal box and pedals are the same so get those asap, just in case they become hen's teeth too. Holy crap that is a nice car! Jesus! 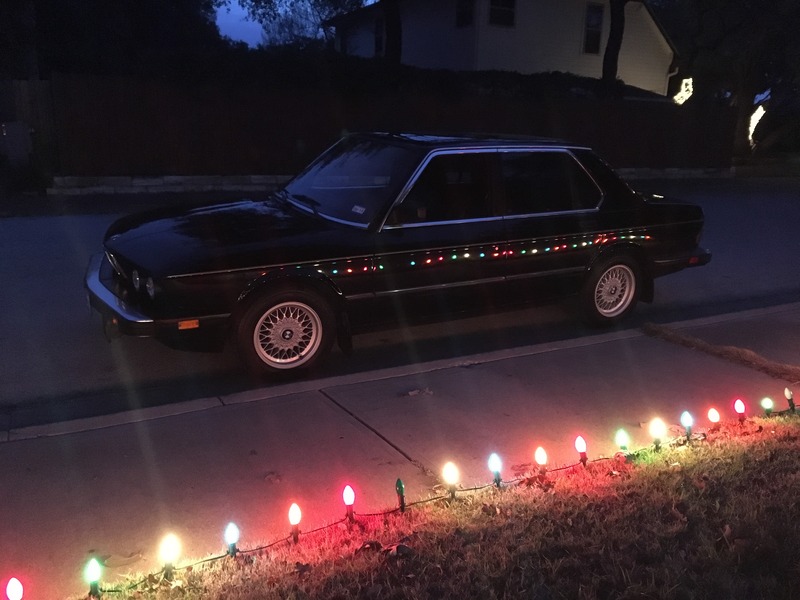 I drove an E28 to Vintage the first year I went (2012). It was a friend's clapped out 528e 5 speed. The 02 was feelable in the seating position and the outward view. I was like, "this is good". 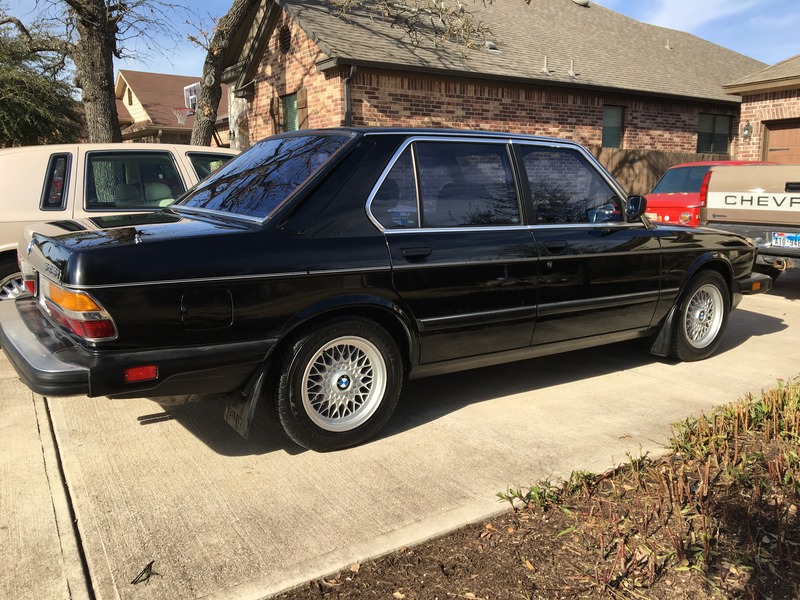 Ben Younce, who is an FAQer has a gorg e28 - did the euro bumpers. It makes a huge difference. I’ve driven it now about 500 mostly-highway miles. 21.5mpg while blasting 70-75 on the Hill Country back roads. Mash the go-pedal and it shifts at redline. M30 has plenty of power. Fabulous brakes. I’m very spoiled to a 2002’s direct steering. 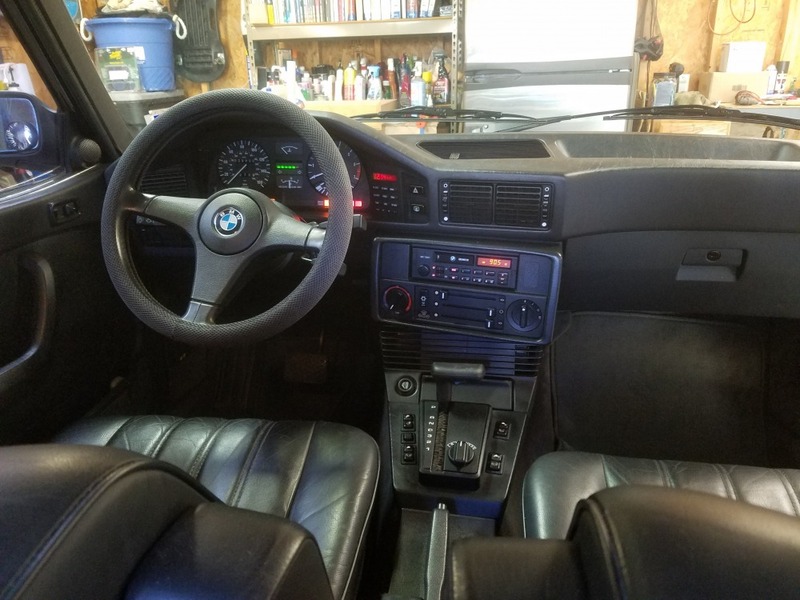 I’m still getting accustomed to this power steering and how the e28 reacts in corners. It’s a much bigger car but behaves well when pushed. So far, the only issue is a non-op cruise control and a leaking power steering pump. Minor stuff. I’ve had complete strangers comment on the car in 3 consecutive days... tonight I fueled up next to a guy in a new M4; we talked about each other’s cars for a good bit. Shoulda grabbed a picture. Nice! Owned one many years ago. I loved the cockpit wrap around layout mostly. Couldnt hurt to have a brake bomb hanging around in the event it goes out. Also, if you’ve never changed one, be prepared to skirt the edge of madness. As far as others commenting on it, I think for a lot of people, it is sort of the classic, quintessential BMW. Anyone between 50 and 60, if you say "BMW" an E28 is one of the images that pops in their head. Took it our monthly C&C; it was well received. After breakfast, drove it through the lakeside twisties back to home. I’m so used to throwing the Roundie into some of the tight hairpins in a pre-selected gear. The auto in this car kept me from being able to add power when I wanted it. That’s okay, it’s still plenty fun. Here it is next to Barney’s jewel. Great pick-up there Ed. It truly looks like a really nice clean one. Enjoy it!